At ArcStone, we build most of our sites using WordPress. For the people that use it every day—mainly developers, marketers and our clients—it's incredibly user-friendly and well-supported. View our infographic to check out more of its advantages. Website designers, on the other hand, don't typically get into the WordPress site. But with the Divi Builder, a WordPress theme that includes drag and drop templates, they can. Typically, our web designers layout the site, specify branding and styling using Adobe Photoshop or Sketch and then hand off those files to the developer. This workflow is great for larger or more custom sites, but for smaller budgets, it can get too expensive. 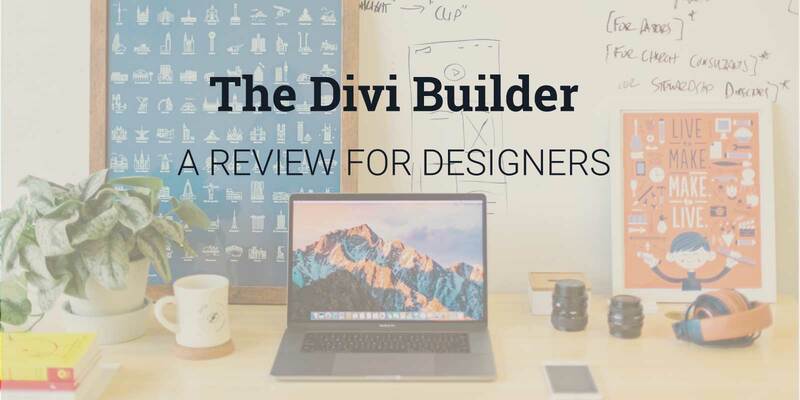 When the Divi Builder came out, our team was excited to see if it could help us increase efficiencies. Now that we've been using it for over a year, what does our designer think about designing a site within WordPress? Here are Michael's thoughts. Divi, like any tool, requires some training. It’s not immensely complex so that only web developers and designers are capable of using it to produce great websites. But, it’s also not intuitive enough where anyone unfamiliar with WordPress and design or development knowledge can create a quality product. Designers understand working in layers and front-end developers understand the concept of wrappers and containers, but those are very industry-specific knowledge. A person who normally does not work in similar structures or understand that type of terminology, like my partner, would most likely look at Divi with a blank face. It’s not too difficult to understand these basic concepts, but if it’s still going over a person’s head, Divi provides an alternative—the Visual Builder. This gives a person the ability to basically drag-and-drop and click-and-drag different elements on a webpage. The concept of layers or containers and wrappers is still there, but the what-you-see-is-what-you-get type of process helps lessen the confusion. Understanding some HTML and CSS isn’t necessarily required as well, but it will be more beneficial when it comes to styling your website to be a little more specific to your brand and going beyond the standard that Divi provides. Sites, themes and templates similar to Divi run the risk of looking like any other website. Any additional coding knowledge can help make a website stick out and look unique. My one major qualm is not necessarily at the fault of Divi. As mentioned in the beginning, Divi is a tool. It requires some training to understand what it is and how to use it, but in the end Divi does not create and build a website—you do. Divi has all the functionality and resources to build a decent website, but it should only be seen as the foundation. For the outcome to be unique and have a little wow-factor is truly dependent on how creative you push yourself to be.